This past decade brought game-changing trends and technologies like AI, the rise of mobile and veritable explosion of online travel agencies – to name a few. In closing out the decade, 2019 demonstrates how these technologies are maturing, and the hospitality industry is leveraging advancements more efficiently while navigating new regulatory hurdles. A move towards owning the customer relationship. While search optimization and OTAs will be core to success for the foreseeable future, successful properties are getting better at bypassing these emergent gatekeepers and strengthening relationships directly with the consumer. Properties are finding increasing success leveraging value from consumer loyalty programs, as savvy marketing teams find new ways to capture awareness through paid marketing and micro influencer initiatives. Key to this shift – consumer data. As properties learn more about their current consumers, they’re able to better maintain those relationships and drive repeat business, while microtargeting similar demographics via advertising and influencer campaigns. Wherever companies are searching through masses of data to find actionable trends, Artificial intelligence is and will continue to be a key enabler of success. In better owning the customer relationship, AI allows properties to identify patterns in their guest profiles, and leverage those patterns to target customers nationally and internationally. In 2019 and beyond, the value of AI will only increase, enabling companies to target more specific and niche customer bases with directed, relevant messaging. Properties can target price-conscious groups with timely discounts, and experience-minded millennials with key experiential differentiators offered by the property. As better utilized consumer data drives efficiencies and sales opportunities, stringent new laws like the European General Data Protection significantly increase the regulatory burden on those gathering data. Properties need to not only be thoughtful in how they gather and leverage data to drive sales, but conscious they are using information in line with set regulatory guidelines. The GDPR applies to any company marketing anywhere in the EU, with fines for non-compliance up to 4% of a company’s global revenue. And the EU regulation is likely just the start – the California Consumer Privacy Act, signed into law on June 28, 2018, follows similar themes. While the specifics differ, both follow core ideas of security, accuracy and transparency that are likely to be carried forward as similar regulations become more prevalent across state and national boundaries. As millennials become an even greater share of travelers and – more importantly –comprise the majority of the hospitality industry’s revenue base, the focus on experience continues to be front and center. Survey after survey has shown millennials value spending on experiences over material goods and will often extend business trips by several days to experience the city in which they’re staying. While the hospitality industry has always been geared towards experiences, 2019 will see a continued move to more targeted, curated offerings, reaching deeper into a city or geography to provide an authentic, impactful taste of the local culture. 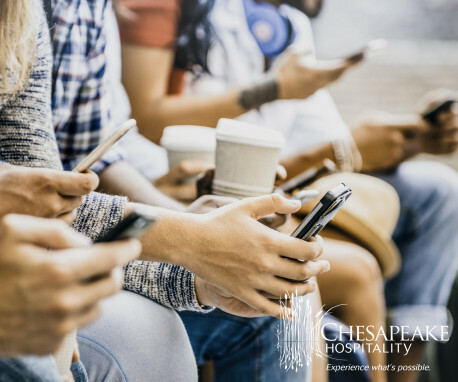 Millennials also demand integrated, user-friendly technology – hotel apps that not only show discounts and allow you to book a massage for your upcoming stay but unlock your room when you get there. While these technologies have been on the rise for some time, expect an increasingly competitive supplier landscape to drive down the costs of these tools. In 2019 and 2020, expect to see a wider range of properties implementing more sophisticated and integrated technology. As more properties are able to engage with developers to create customized tech solutions, we are also likely to see exciting, creative new applications blending customer experience – potentially leveraging new tools like augmented reality – with AI -driven microtargeting. Think: a veritable Pokémon Go of how to enjoy the city your visiting, with offerings, experiences and discounts tailored to your specific interest, all on an app that allows you to pay for services directly, and – of course- unlock your room when you get back.